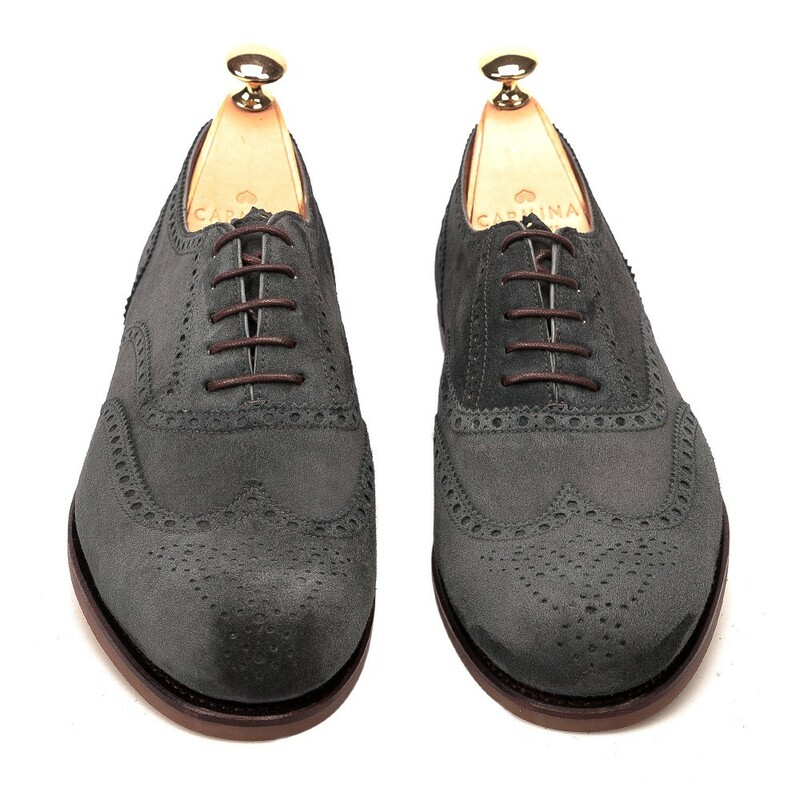 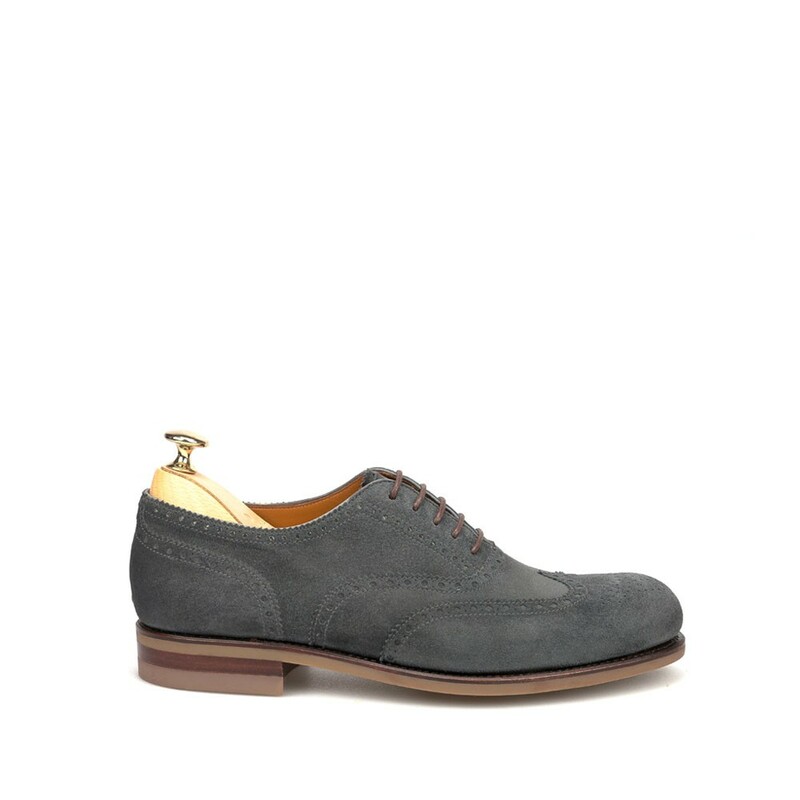 OXFORD IN GREY VOGUE SUEDE WITH SILVER SOLE. 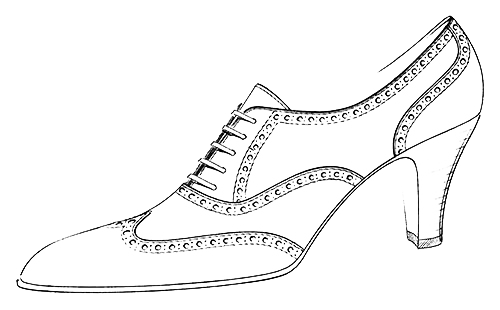 ASSEMBLED ON LLUBI LAST. 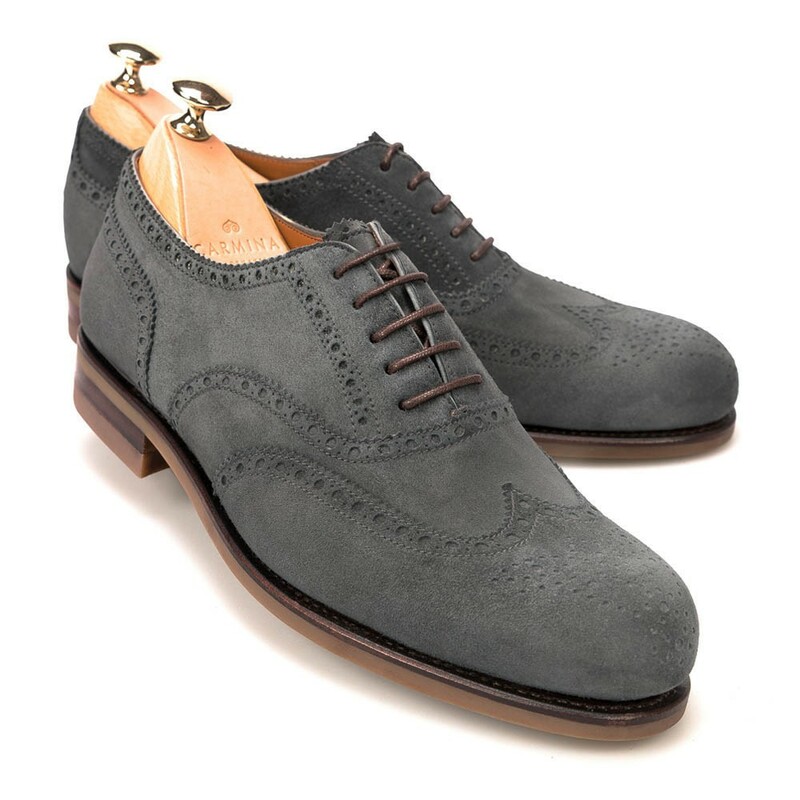 Oxford in grey vogue suede. 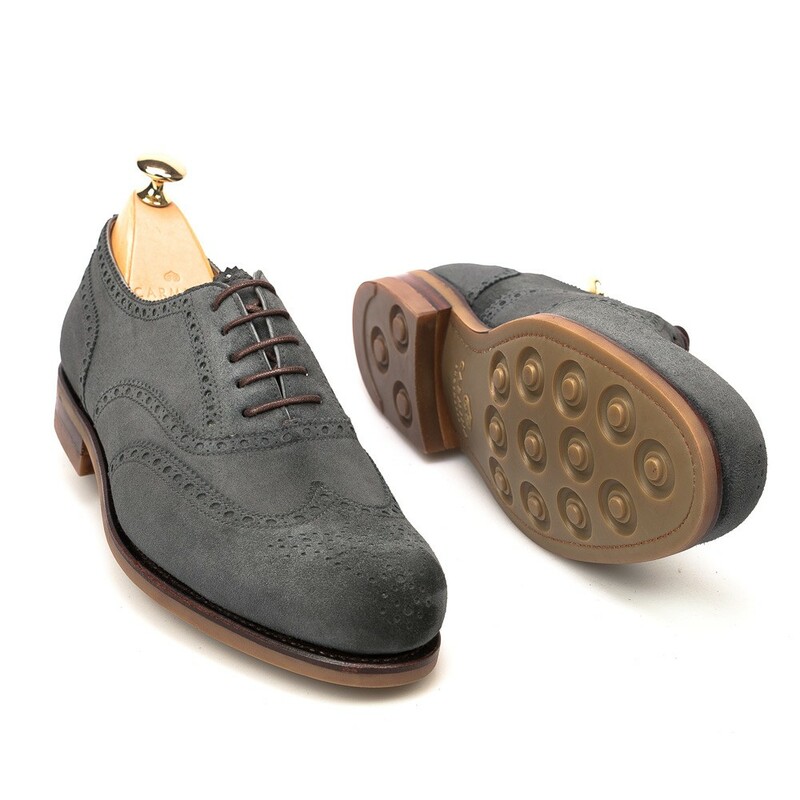 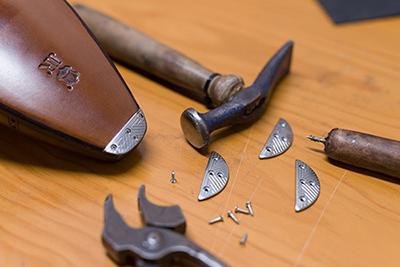 Featuring a goodyear welted shoe with calf lining and silver sole.